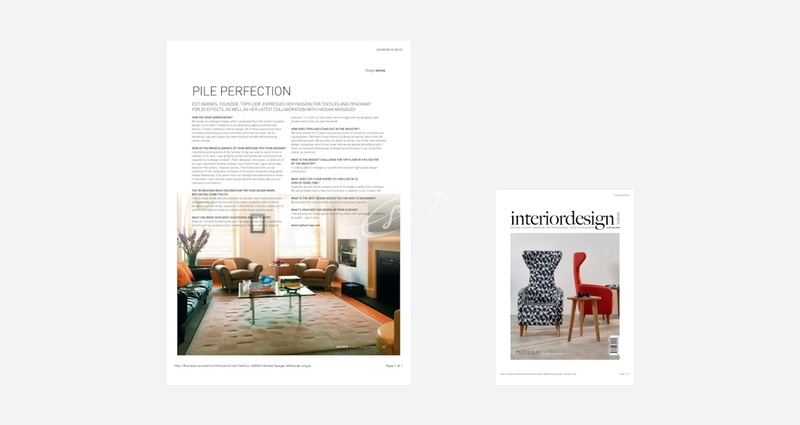 In an interview with Interior Design Today magazine, Topfloor’s Creative Director Esti Barnes said: ‘I think our forward-thinking way of designing and bravery in our collections makes us stand out’. 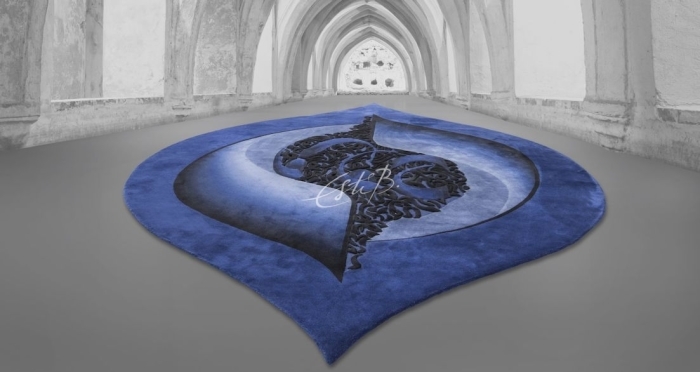 Indeed, the company has long been known for its innovative rug designs, with Esti considered an industry leader, so it is a given that her work will be well represented in the media and her expert opinions sought. 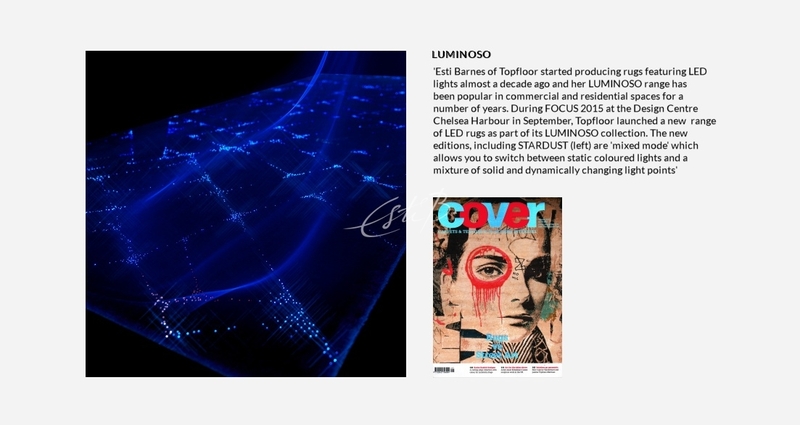 Esti’s signature techniques of pin-accurate surface carving and colour gradation have proved particularly popular among both clients and the press: launched in 2006, the award-winning Esquire (together with Esquire Evolution, which followed in 2012) is their best-selling – and also most published – design. 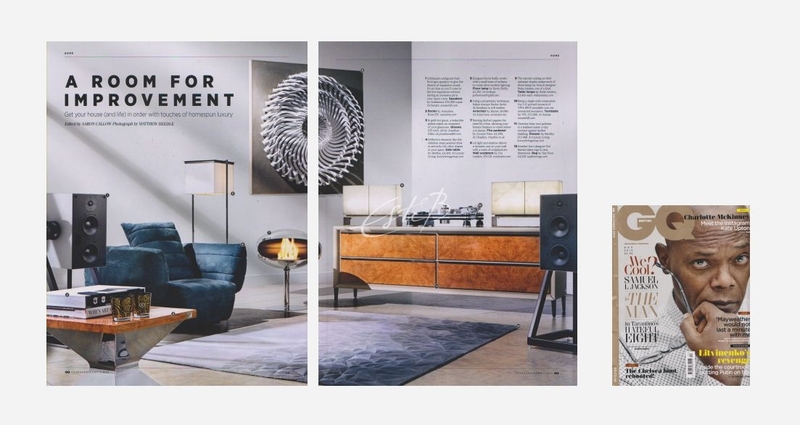 With geometrics and ombré effects now mainstream in fashion and interiors, Esquire and Esquire Evolution remain incredibly current and continue to garner press coverage. The light plays off their distinctive three-dimensional surfaces, making them interesting to photograph, too. These designs have featured in (among other publications) GQ (above), specialist Cover Magazine and the Guardian Online, in a piece about origami-inspired interiors. 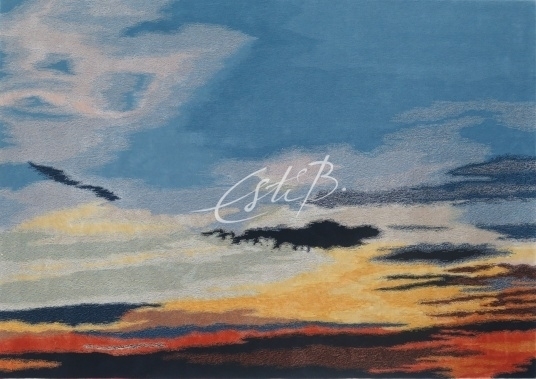 Esti’s Sunset rug and SCRIPT rugs have both also proved a hit with the press, in part because they are the product of creative collaborations with artists. Sunset is based on a photograph taken in Phuket by British artist and photographer Pam Weinstock; and the SCRIPT collection was inspired by the work of the contemporary Arabic calligrapher Hassan Massoudy. The convergence of art and design and collaboration between disciplines are hot topics at the moment, so these rugs represent a shared vision that is very much of the moment. 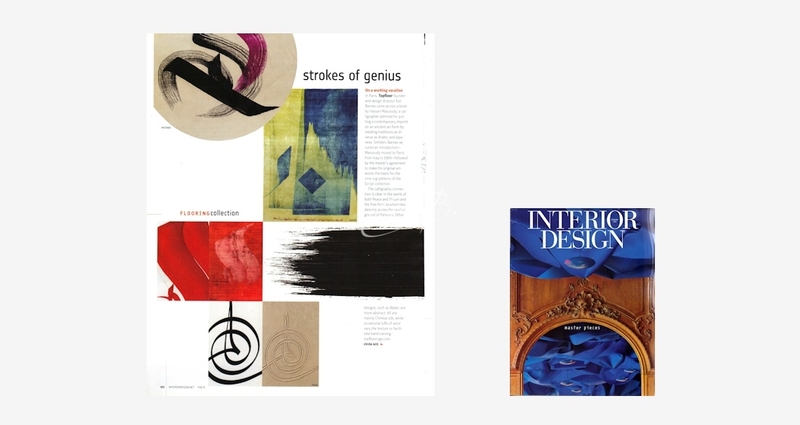 American publication Interior Design dedicated a page entitled ‘Strokes of Genius’ to the SCRIPT range and the story of the collaboration between Esti and Massoudy, which began after she stumbled upon his book while in Paris. Of course, getting media attention is not just about product placement – although this is undoubtedly a useful tool for raising one’s profile or spreading the word about a product launch. It’s also about engaging readers by telling a story or sharing industry wisdom and insights. 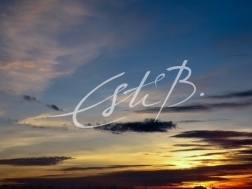 As with many aspects of business, the key is to establish a relationship. At the luxury end of the market, customers are looking for a personal connection with the people behind the business, and media coverage helps to establish this connection. Luckily, Esti’s story is both interesting and engaging! Her childhood in Turkey, her eclectic interests, her love of travel and art and her intriguing array of collectibles all add a human-interest dimension that people want to read about. Interviews in which she talks about her home, her interests and her influences have appeared in Exclusive Magazines (a title that covers fashion, beauty, culture, travel and interiors) and Interior Design Today, Britain’s oldest magazine for professional interior designers. Although much of Topfloor’s business results from recommendations, most companies recognise the continuing relevance of press coverage in their marketing mix. Appearing in magazines, newspapers and the trade press has proved a great way not only of gaining new clients but also of raising awareness of the Topfloor brand, building the company’s reputation and helping to reinforce the trust of clients old and new. Esti is currently working on an exciting new project that she hopes will once again turn the spotlight on Topfloor. She is planning a beautiful new range of flooring products that will extend the portfolio and will be launching them at London Design Week in March – be sure to keep an eye on the industry press and on www.topfloorrugs.com for more details!